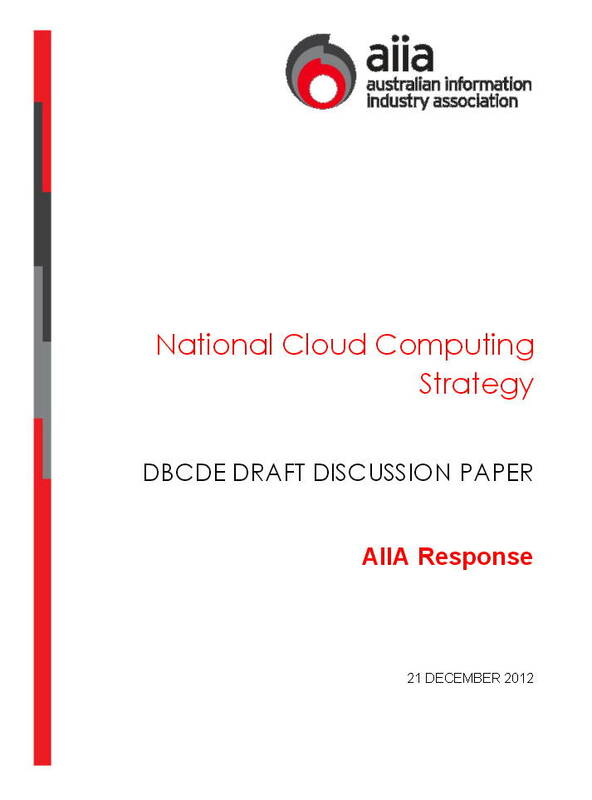 The Australian Information Industry Association (AIIA) welcomes the opportunity to provide comment on the draft National Cloud Computing Strategy from the Department of Broadband, Communications and the Digital Economy (DBCDE). 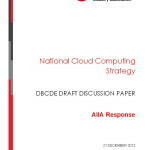 At the outset we note a level of uncertainty as to how this latest draft aligns with or supersedes the 2011 Australian Government Information Management Office (AGIMO) cloud strategy for government, given the DBCDE draft also covers government uptake of cloud computing. We would appreciate early clarification on this point. We would also flag our concern that government does not unwittingly mandate that enterprises must make investment and/or location decisions based on anything other than genuine commercial factors. For example, AIIA does not support any move towards a policy which requires all data centres to be located in Australia and/or all data must be stored in-country. Posted in Asia Pacific, Cloud Computing, Communications, Defence, eGovernment, Federal, Information, Security, Technologies, Web 2.0 and tagged AGIMO, AIIA, Australian Government Information Management Office, Australian Information Industry Association, Broadband, Cloud Computing, cloud strategy, Communications, DBCDE, Digital Economy, National Cloud Computing Strategy.